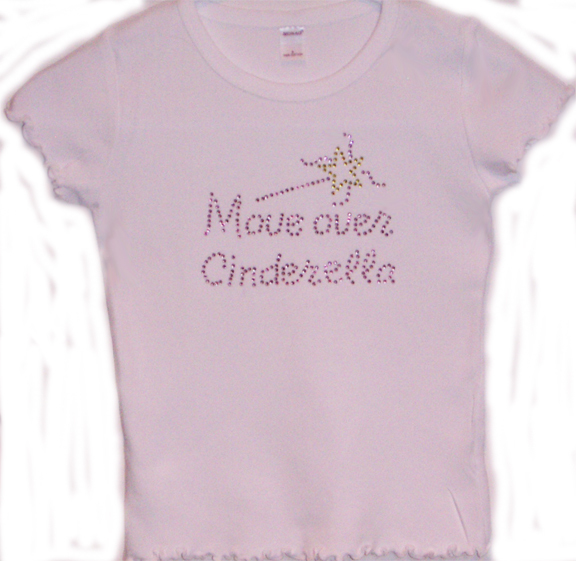 WE can now make our own designs that combine rhinestones and embroidery. 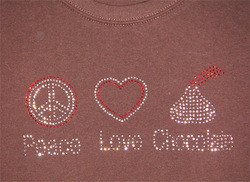 We also do designs that are ALL rhinestones. See the first special requests below. 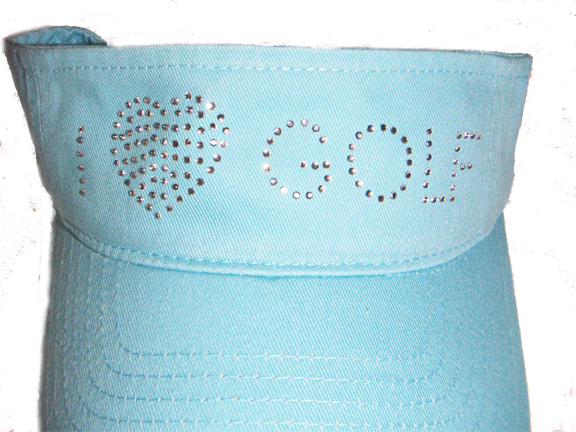 Visor for the golf lover. Done in crystal rhinestones. 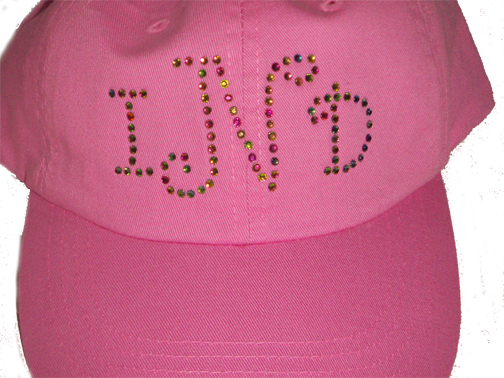 This cap is monogrammed with initials using Spectrum color rhinestones. Caps are available in assorted colors. 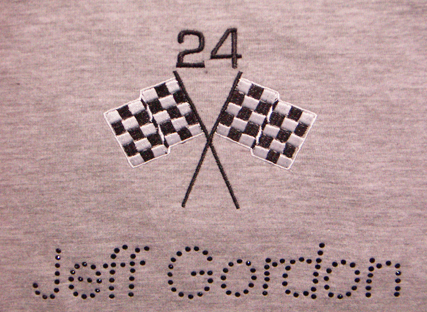 Our Jeff Gordon (Nascar) fan wanted a ladies tee shirt with some embroidery and bling. The flags and car number are embroidered. 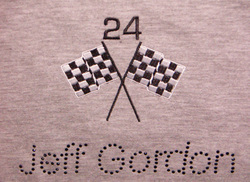 Jeff's name is done in black rhinestones. Click here for info on shirts. This shirt has pink and gold colored rhinestones. 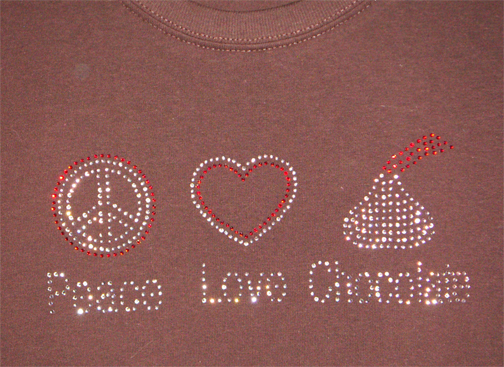 The three elements needed for world peace are now for all to know. 100% cotton preshrunk ladies tee. Crystal and red rhinestones.